We hope everyone gets to enjoy their favorite treat today... adult beverages for the humans and yummy treats for the furbabies! 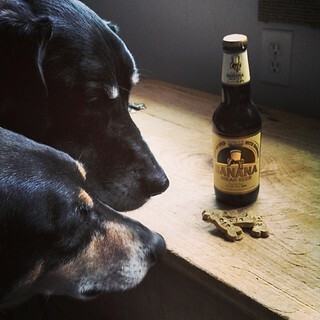 Lola and Tut were debating which treat was for theirs, the Banana Bread Beer (Mama's favorite) or the Peanut Butter Banana treats from Casey Jones Bones. 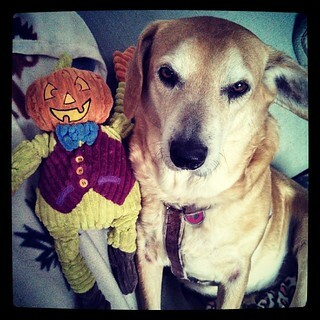 While my little hound girl looks like she and Mr. Pumpkin Man have already been indulging in all of the St Pattys Day fun. Remember to share, enjoy responsibly and have a wonderful day! 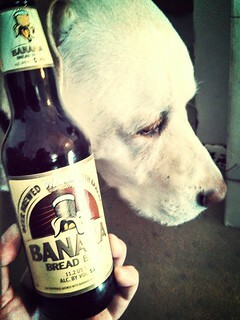 Banana bread beer does not sound good. I like banana bread and bananas, but I don't like banana flavored anything else. How banana-y does it taste? 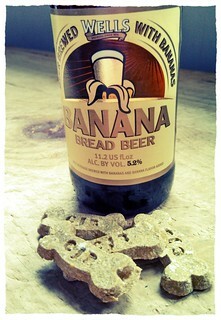 I'm not sure I can even imagine what banana bread beer tastes like...Happy St. Paddy's. And may you be in Heaven a half an hour before the devil knows you're dead! Love those noses! Happy St. Patrick's Day! 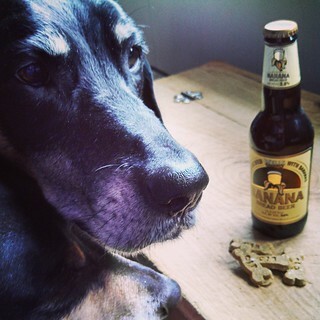 Banana Beer. I can't imagine how it taste. 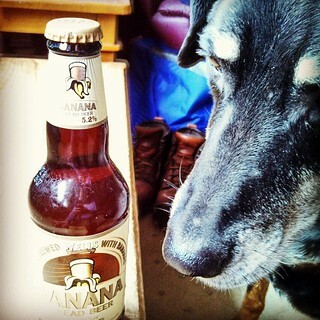 I don't like banana, so I would probably not like the banana beer. Have a great day. We're running a day late. We had corned beef sandwiches for dinner tonight. Banana Beer?! OMD, that sounds yummy!!! 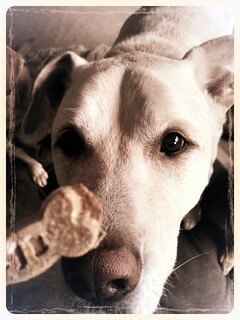 I thinks Ma wants one of those, and I'll take one of those biscuits!!! Please...Ma says to always say 'Please'! Hopes you had a FABulous St. Patricks Day! So Banana Bread is the brand but is it also the flavor? Very interesting! Where is it from? I went out with my team from work and had a local brew from a brewery called No Label. It was dyed green as was my glass if water.